For use in Cross Wave and Spin Wave series. 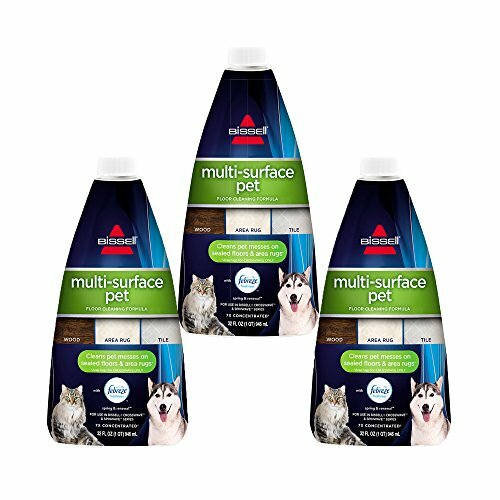 Multi-Surface Pet formula can be used on sealed hardwood floors, tile, laminate, and area rugs. Pet and family safe when used as directed. Pet formula removes tracked in dirt, mud, paw prints other pet messes. Febrile Freshness eliminates odors while you clean. Febrile is a trademark of The Procter and Gamble Company, Cincinnati, Ohio, used under license by BISSELL Homecare, Inc.